Architect Board Topnotcher and Miss Universe 3rd Runner up, Shamcey Supsup is the complete package: beauty and brains. 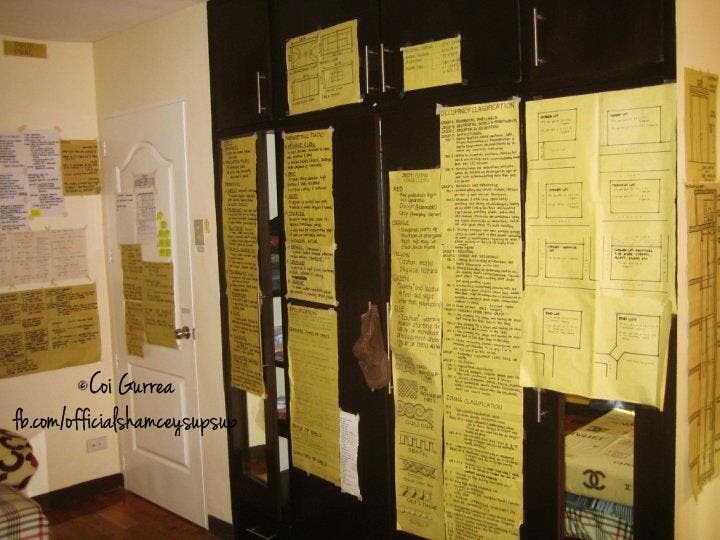 Photos from a fan made account on Facebook claiming that this was Shamcey’s bedroom while she was studying for the board exams back in 2010. 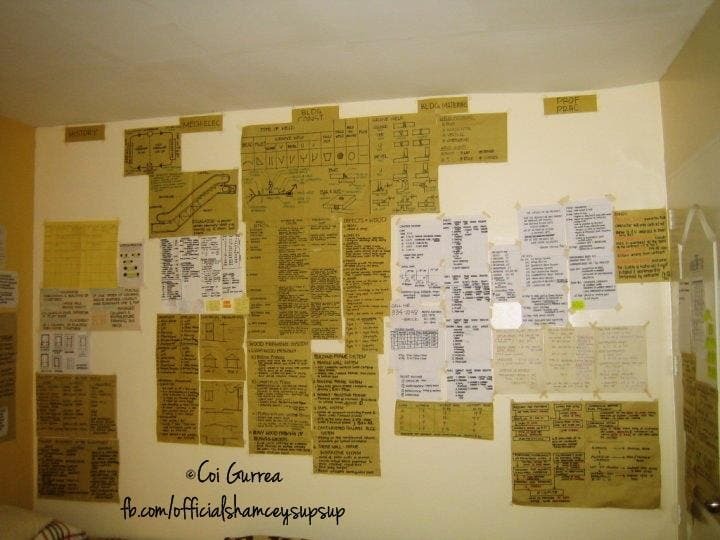 Everywhere you look, there were a manila paper on the walls, with formulas, terminologies and illustrations. 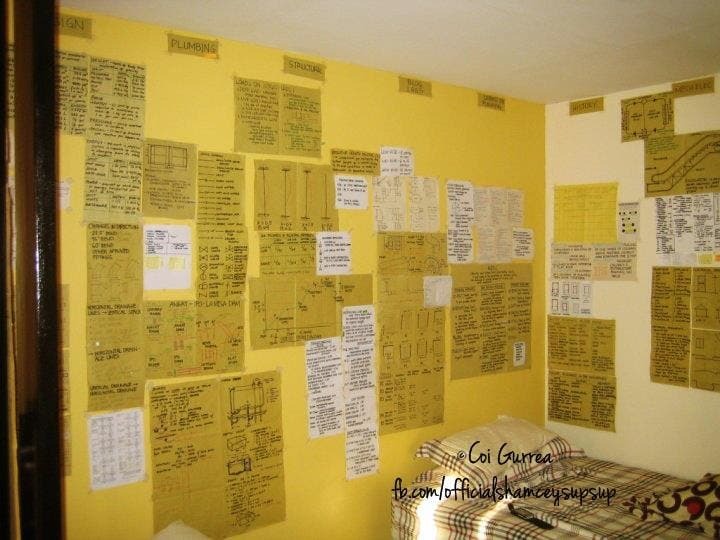 Do you have board exam stories as well? Share them with us!